Most people who know me know I am really partial to a pint or two of real ale, Thornbridge Jaipur is far my favourite tipple. I have sank many a pint after a peak district walk in the Devonshire Arms at Beeley. So when I was asked by the organisers of the recent Bakewell Baking Festival if I would do a demo showcasing a Cake or Dessert from Derbyshires Thornbridge Brewery Craft Union Cookbook, I jumped at the chance. 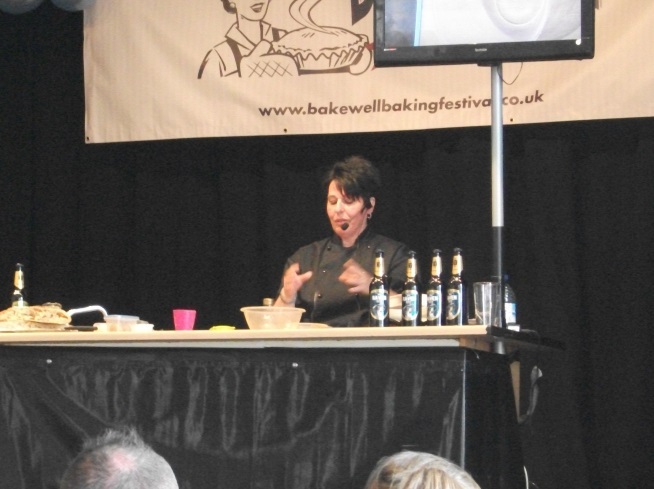 I popped over to Bakewell and had a meeting with Alex the Marketing manager we decided on Treacle Tart using the rich, dark Wild Raven. 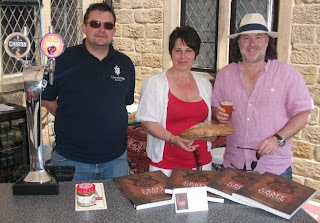 Never missing an opportunity I also suggested we make some beer bread from one of the ales available on the Festival Weekend to have on the stand at both the demo and the festival. 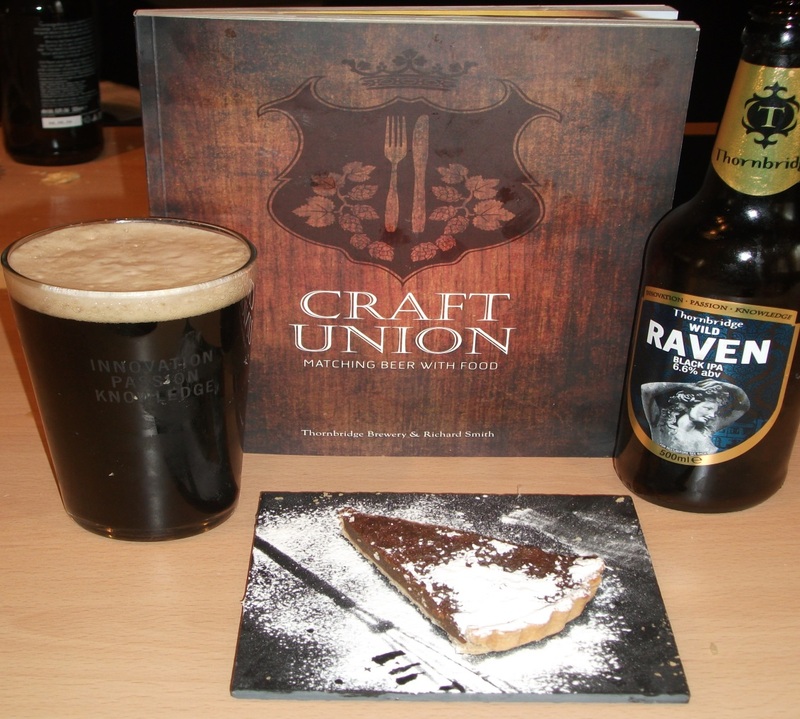 The Thornbridge Craft Union Cookbook is based wholly on pairing craft ale with food. Most of us are aware of the red & white wine food pairings but not so much about beer pairing. This book brings it all together, giving you simple guidelines to help you along. So having read the book from cover to cover, read and noted down some really great recipes I also noticed there were some recipes that had been included by some of our most renowned beer critics and journalists, one in particular Marverine Cole aka Beer Beauty, @beerbeauty whose adventures I follow on Twitter. Having chosen Treacle Tart with Alex I then decided on the bread, for me it needed to be a Focaccia. I wanted a real depth of flavour so set about a 24hour focaccia marathon. It’s a simple recipe. This is scaled down as I made 4 x the mix. 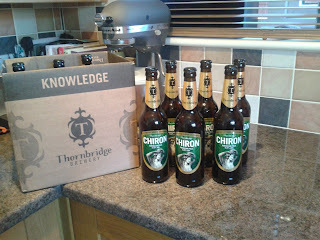 -When the yeast looks like its lively add to the flour mix it in then add the ale. Using a wooden spoon or your hands really beat the mix together it will be a real slack sticky mess. Really get some air in it. -Pour a bit of olive oil around the bottom of the bowl lifting the dough up slightly with a dough scraper so the oil gets underneath the dough. Cover with a slightly smaller bowl, cling-film or a shower cap and put it somewhere cool until the next morning. -After all that time your dough will have started to bubble a little like the picture below. - Start an hourly folding regime for times, using your hands fold the dough making sure that the dough is stretched as you fold, repeat this four times. 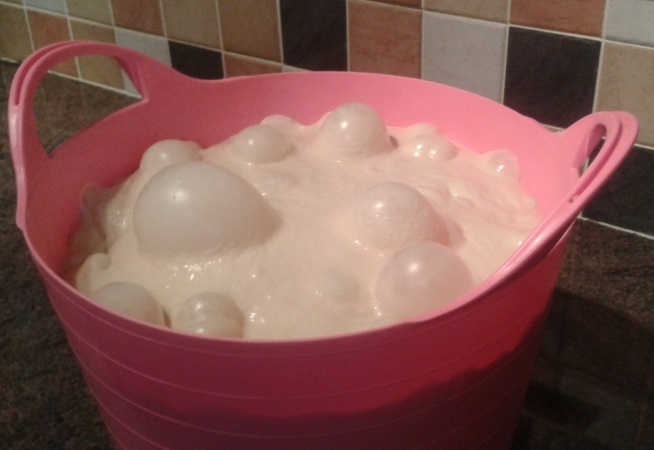 Your dough will be pillowy and bubbly. -After the fourth fold leave it to rest for 30 mins then turn it out onto an oiled and ideally parchment lined tray. 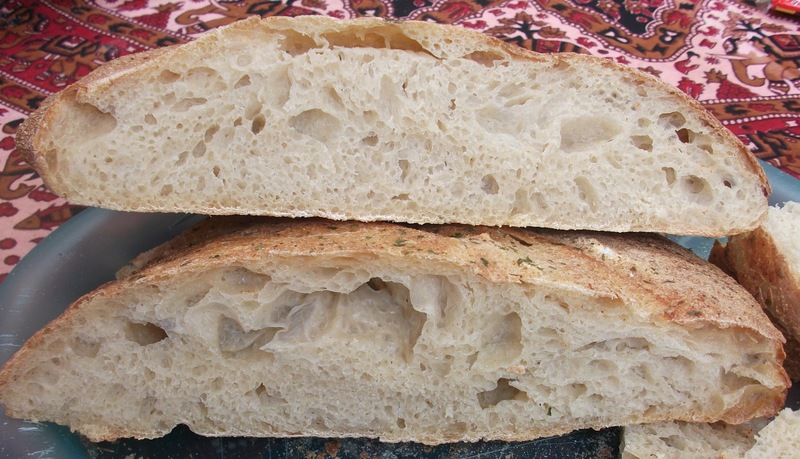 -Using your fingers press the dough flat making indents along the way, leave it to come up again for 30 mins, drizzle with olive oil, a little garlic salt & sea salt then bake for around 30 mins in a pre-heated 200oC oven, until golden. If you ever get the chance to visit Bakewell, remember to pop into the Thornbridge Brewery Shop and purchase some of the fabulous beers they produce, you could also buy a copy of the craft union book. I know most of you will not want to make bread out of beer (sacrilege my husband cries) but if you are an avid bread-maker put it on your list of breads to make, but always use a good ale. I've added a few snaps from the day - me doing the demo and also on the Thornbridge stand with the delightful MD of Thornbridge, Jim Harrison and Bob the bar-man.